London: Foreign Minister Shah Mehmood Qureshi has reaffirmed Pakistan’s commitment to support Kashmiris in their struggle for the right of self-determination. He was addressing an international conference on Kashmir in the British parliament on the eve of Kashmir Solidarity Day which was organized by all parties parliamentary group on Pakistan. Qureshi said that the seminar that is being organized here gives us comfort in a fact that the conscious of humanity is not dead and added that the freedom-loving, just and God fearing people the world over still care about the plight of the people in India Occupied Kashmir. He said that no doctrine of state security or sovereignty can justify heinous acts of violence. “Justice may be delayed but will not be denied,” Qureshi said. “To our Kashmiri brethren I wish to assure that they are not alone in their just struggle and we will continue to lend every possible political, diplomatic and moral support to their freedom struggle,” he said. 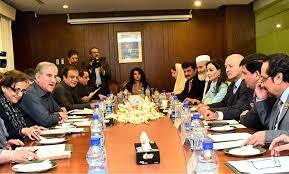 He said that the UN report on Kashmir demands formation of a commission of inquiry. He said it is time that a commission of inquiry must be constituted and people must be named, blamed and shamed. Evidences must be gathered and cases must be built and murderers must be prosecuted. 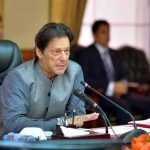 He urged international media for objective and detailed reporting on the ongoing atrocities in the India Occupied Kashmir by the Indian forces. Meanwhile talking to media persons after attending the international conference in the British Parliament on Kashmir dispute, Foreign Minister Shah Mehmood Qureshi denounced the Indian tactics for attempting to hinder the conference and the ongoing crackdown against Hurriyat leaders for suppressing their freedom movement. He asserted that despite political polarisation in Pakistan, the country’s political parties were united on the issue of Kashmir and that Pakistan gave concrete message to the media and to the House of Commons. “Both the Conservative and Labour Party’s representatives, as well as liberal democrats were there. The session went on for two hours in pin-drop silence and in front of a capacity audience,” he said, adding “Everyone heard (each other’s) views and participated (in the debate) but above all, at the end — and even I was not expecting this — Lord Qurban, representing the British Parliament, tabled a resolution and it was read out. “This is such a massive development, and a victory for Pakistan. This is a victory for those innocent Kashmiris whose cries were heard and felt in the House of Commons today. This issue has reached the centre stage by the grace of God. “You also must have seen that some Indian people first tried to get this conference stopped, pressurised the members and the government, and after that some 15 to 20 people protested as well,” he said. “I told them that ‘go on’ as protesting is their right. You can chant your slogans against us but stop the bullets and the use of pellet guns there.” Supported by the evidence in the reports of the UK Parliament’s All-Party Parliamentary Kashmir Group (APPKG) regarding Indian atrocities in Kashmir, Qureshi reaffirmed Pakistan’s commitment to support Kashmiris in their struggle for the right of self-determination.